• Are you looking for a non-impact exercise art that is gentler on your body especially the joints but will help you learn balance, improve coordination, enhance circulation, condition the fascia, and increase muscular strength? • Do you feel stressed out from work related pressures or family issues but don’t like to take medication to relax you? • Would you rather get energized through energy cultivation exercises than use chemical stimulants? • Do you want to cross-train in a soft martial art to balance out your hard martial arts? If the answer is YES, then READ ON BELOW. If you had answered yes to the above questions, then the Taiji & Qigong program (as described below) is just what you need. Check us out and come in for a free trial. Yang style Taiji (Tai Chi) is taught in 24-form, 37-form, double Yang form, long-sword form and broad-sword form. The Qigong exercises also include Zhan Zhuang, Baduanjin, Liangong Shibafa, Pingshuaigong, Zhineng Qigong and Taiji Daoyin and others. The instructor Colman Fink who has been involved with the martial arts for over 40 years, also teaches Karate Jutsu and Ryukyu Kobujutsu (Kobudo). He also teaches Taiji & Qigong in Wareham. Would you like more information on hours, classes and programs available at Plymouth Taiji (Tai Chi), Qigong & Daoyin? Please contact the school with your questions. Update the details, Write a Review or Report Error of Plymouth Taiji (Tai Chi), Qigong & Daoyin. View all Dojo in Plymouth or in Zip code 02360. This Chart shows the Martial Arts Styles offered most in Plymouth, Massachusetts area. 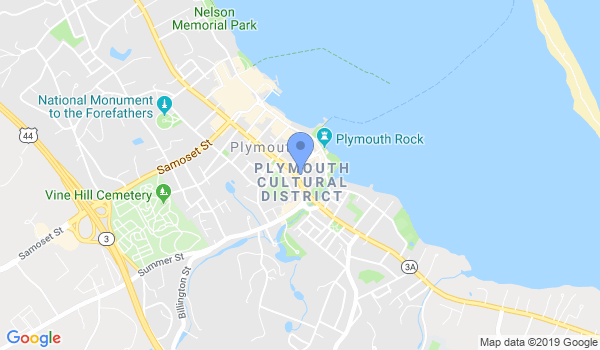 View a list of Dojo in Plymouth, or enter your address below to find schools closest to you.